'No student in my classes will preside at the Communion table without knowing how to make bread,' says the Rev. Dr. Jill Crainshaw, right. 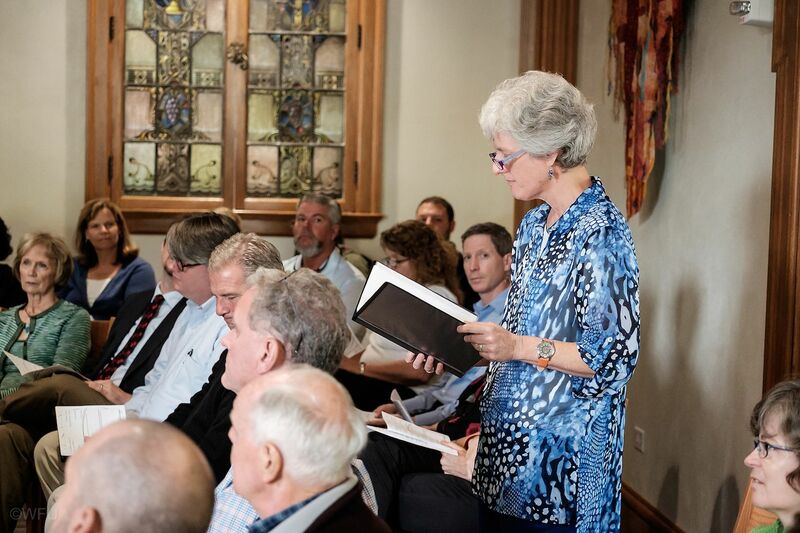 Certainly, as Crainshaw delves deeper into conversation about her history with Wake Forest, her love for the school is clearly and enthusiastically evident. “I’ve been committed to the University for a long time,” she explains, smiling. Crainshaw arrived at Wake in 1980 from Kannapolis, North Carolina, as a first-generation college student. 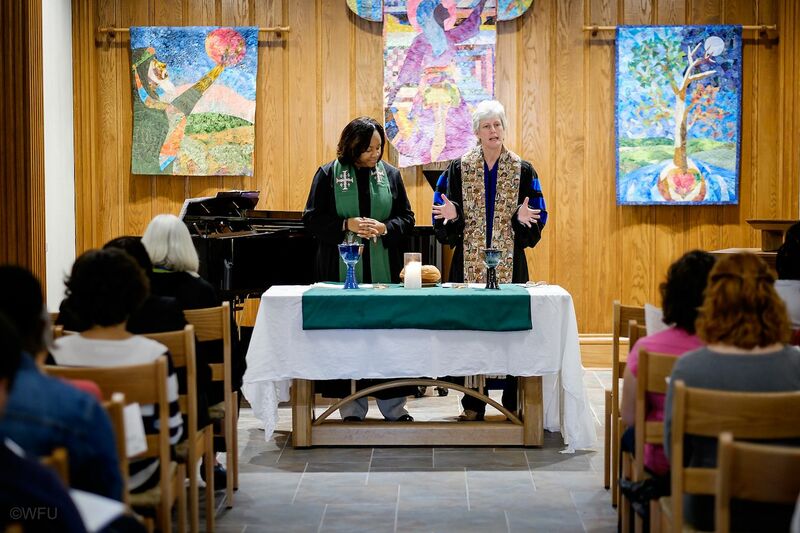 After making a rainy-day tour of the campus a few months earlier she had decided that she, a Lutheran in the midst of a then-still-Baptist culture, would be engaging in something a bit radical in her choice of Wake Forest. Yet before her four years were over — during which time she earned a BA in religion under the mentorship of Professor Fred Horton — she became a Baptist herself. Between 1984 and 1999 she earned a Master’s of Divinity degree from Southeastern Baptist Theological Seminary, became ordained as a Baptist minister, then received her Ph.D. in preaching and worship from the Presbyterian Church-USA’s Union Theological Seminary in Richmond. She’s thoughtful for a few moments, then adds, “When I was an undergrad, my roommate and I ate the same thing in the Pit every day because of Leah, the cafeteria worker and her kindness. And I’ve gone to the campus bookstore nearly every day since I returned in 1999 — the folks there always have time to offer a ‘Good Morning,’ and I feel so grateful for that. I want to return my gratitude to the community. Returning her gratitude to the community is important to Crainshaw. Crainshaw is also an outspoken champion for sustainable food systems. Bread, for her, is perhaps the deepest symbol of everyday sacramentality. “No student in my classes will preside at the Communion table without knowing how to make bread,” she says. Crainshaw regularly assigns students the task of baking bread, after which they — often first-time bakers — gather and share their stories from the kitchen. 'Wisdom is essentially how to make it through the world,' she says. Karen Richardson Dunn is a Double Deacon (BA English, 1986; MDiv, 2011) and an ordained minister with the United Church of Christ. 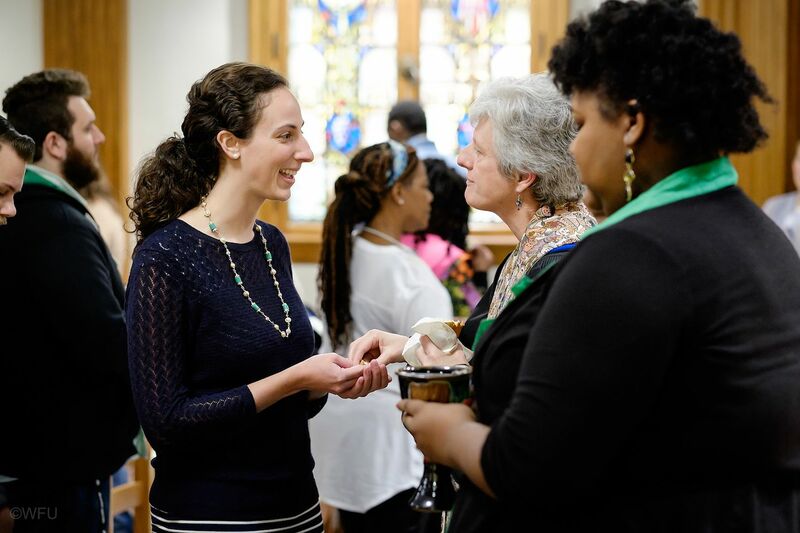 She is the program coordinator for the Wake Forest School of Divinity Food, Health and Ecological Well-Being Program and facilitator for the Creation Justice Network of the UCC’s Southern Conference. She is a professional writer and editor and lives in Asheville, North Carolina.